Serving at a lighthouse as keeper wasn’t always boring or quiet. The keeper’s log often tells interesting stories – if you dig hard enough. But first, some history of the lighthouse at Marquette Harbor is in order. The Jackson Mining Company produced iron ore inland near Marquette, and that meant they needed to ship it out. Another mining company with interests also in Michigan’s Upper Peninsula embarked on building two tandem locks on the St. Mary’s River, each 350 feet long –a few years after Congress approved $5,000 to build the harbor light in 1850. The lighthouse started operating in June of 1853. The structure couldn’t withstand the constant wind and waves and began deteriorating. 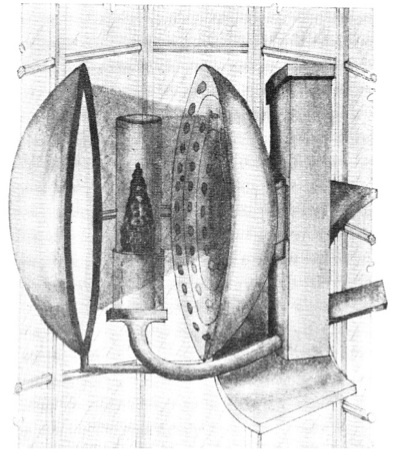 The newly created U. S. Lighthouse Board decided to upgrade the seven Lewis lamps to a sixth-order Fresnel lens in 1856, visible for ten miles. They also installed a foghorn. The fourth keeper, Nelson Truckey, formed the Michigan Volunteer unit Company B of the Infantry Regiment in 1861. His wife kept the light until 1865 when she was removed as keeper. By that time, the Lighthouse Board knew they could not repair the crumbling station. They approved $13,000 to construct a new lighthouse and square tower of brick and stone combined at the highest elevation of Lighthouse Point’s rocky peninsula. Construction of the new light was completed in 1866. The fixed white fourth-order Fresnel lens was set on top of a cast-iron pedestal in the tower’s gallery, with a spiral stairway leading from the first floor to the lantern. In clear weather, the light could be seen from 16 miles away. The one and a half story keeper’s residence was attached. Because keepers struggled to carry supplies up from the docks over the rocks and steps, the Army Corps of Engineers built a supply room on the lighthouse’s north side. A tramway with a hoist, cranked by hand, helped in bringing goods from the boats that docked in a sheltered bay north of the point. By 1875, a 2,000 foot breakwater was built southward by the Army Corps of Engineers to protect the harbor from wind and waves. Due to forest fires, rain and snow, two other fog signals were installed in 1880, each sounding distinctive to designate its location on the breakwater and less loud than the fog signal closest to the lighthouse. A beacon was also installed at the breakwater’s outer end. Tending this was added to the Marquette lighthouse keeper’s duties. The first assistant keeper, a brother of Keeper Samuel Barney, soon proved inadequate and was removed along with his successor and Keeper Barney as well. By 1882, ten lighthouse keepers had resigned or been removed for various reasons. Keeper Patrick McGuire and his wife, serving as his Assistant, had an eleven-year span of duty at the busy lighthouse. After a particularly bad storm in November of 1889, the breakwater light was torn away and large parts of the breakwater itself were destroyed as well. In 1891, the U.S. Life-Saving Service established a station on the grounds west of the lighthouse. After William Wheatley replaced the McGuires in 1893, an old barn was converted to an Assistant Keeper’s dwelling. Keeper Wheatley and his various assistants had to tend a pole with a lantern installed at the end of a timber breakwater during this period. Tragedy struck when Wheatley went fishing with a friend in the spring of 1898. The boat capsized, and the keeper’s body finally washed up a month later. The assistant keeper, Henry Baker, took over the job until Keeper Robert Carlson arrived. Later that year, the light was electrified after some difficulty due to further bad weather and damp conditions in the conduit. More trouble came after the turn of the century. 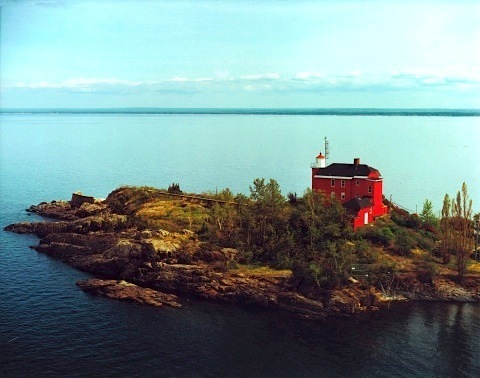 With Marquette’s increased population, and Lighthouse Point a great spot for visitors to spend a summer day, crowds often grew too large for the keepers to handle. Picnickers often started campfires, and Keeper Carlson feared such fires might set the surrounding forest afire and even threaten the Marquette station. In June of 1903, he wrote a letter to the District Inspector and received a reply on July 1st: “…picnic parties and camp fires would hereafter not be allowed." However, on July 6th Keeper Carlson had to extinguish a bonfire that night. David Shelton, a surfman from the Life Saving station, was among the picnickers. The following morning, as Carlson and his Assistant Keeper headed to the breakwater, Shelton arrived and assaulted the keeper – while the assistant stood by and failed to help. Keeper Carlson’s head injuries were quite severe. He also believed his own assistant may have been in collusion with Shelton. Carlson appointed his wife to take over as Keeper while he recovered. No record of bringing Shelton to justice seems available. 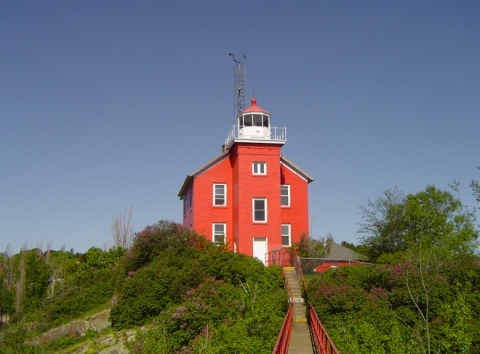 Keeper Carlson chose to leave Marquette due to the confrontation, and in October of that year chose to “swap” station duty for Whitefish Point. Charles Kimball left that post and arrived in Marquette. He served until April of 1925 and was replaced by Frank Sommer. In 1910 the keeper's house attached to the light tower was expanded from one and a half stories to the full two stories that is seen today. 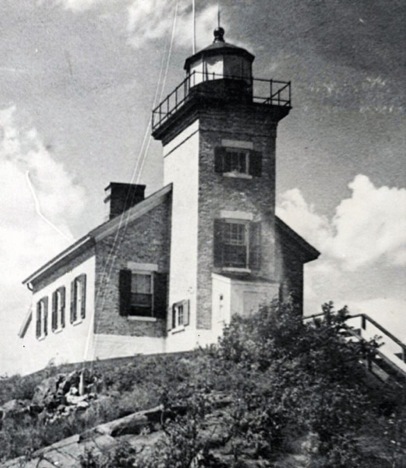 In 1939, the Coast Guard took over responsibility in operating the Marquette harbor lights which remain active to this day.